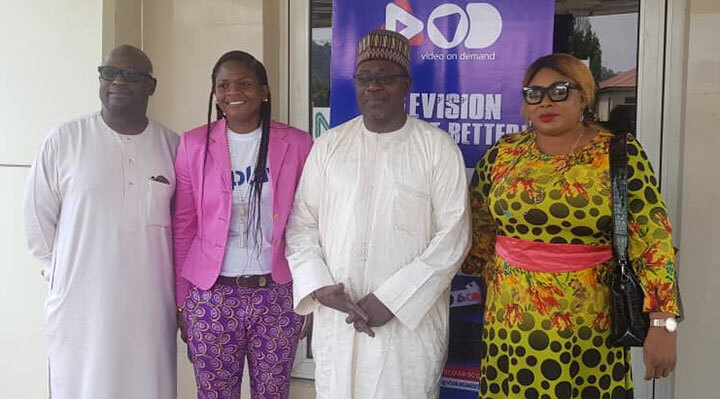 Nigerian cable network PlayTV launched its PlayPVOD service on January 30 at the 2019 general elections press conference at the National Broadcasting Commission (NBC)’s headquarters in Abuja. The director general of the NBC, Mallam Is’haq Modibbo Kawu, announced the launch, saying that video-on-demand was part of the value-added service from digital switch-over (DSO). He added that as part of DSO in Nigeria, NBC would distribute more than 5,000 set-top boxes across hospitals, public institutions, police stations, houses of assembly and other federal premises. As well as Kawu, the launch was attended by Funmi Adenaike, general manager of PlayTV; Olumade Adesemowo, MD of Inview Nigeria; Nollywood actress Ayo Adesanya; and Kannywood actor Uzee Usman. The PlayPVOD service offers premium Nollywood movies through the use of a customised memory dongle and brings the latest Nollywood blockbusters direct to a free set-top box. More than 30 channels will be available on free TV. They will only be available in Abuja and Kaduna initially but will soon be offered in other states.